… Cape May County, New Jersey, that is. 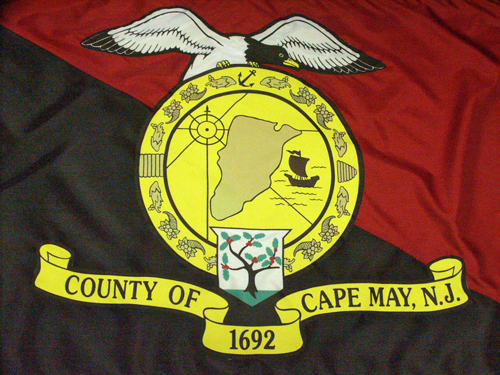 Flag of Cape May County, New Jersey. In 1955, a contest was held by the high schools of Cape May County to design an official county flag. The entries were submitted to the Board of Chosen Freeholders and the County Librarian and the top three winning designs were given to a commercial artist. 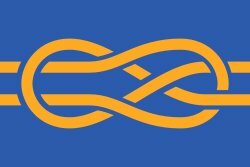 Under the direction of the Board of Chosen Freeholders and the County Librarian, the present county flag was designed and finally completed. What’s a Chosen Freeholder? It’s a New Jersey thing.